Gray, M. D., Lyon, P. C., Mannaris, C., Folkes, L. K., Stratford, M., Campo, L., . . . Coussios, C. C. Focused Ultrasound Hyperthermia for Targeted Drug Release from Thermosensitive Liposomes: Results from a Phase I Trial Radiology, 0(0), 181445. Li, D., Pellegrino, A., Hallack, A., Petrinic, N., Jersalem, A., Cleveland, R.O. Characterisation of single cell response to shock waves and in silico optimisation of shock wave-mediated therapy Biophysical Journal 114:1433-1439 (2018). Weissenbacher, A., Lo Faro, L., Boubriak, O., Soares, M. F., Roberts, I. S., Hunter, J. P., . . .Coussios,C-C., Friend, P. J. Twenty‐four–hour normothermic perfusion of discarded human kidneys with urine recirculation American Journal of Transplantation, 19(1), 178-192. Cui, HW., Devlies, W, Stevens, DJ, Ravenscroft, S, Heers,H., Freidin, A., Cleveland, RO, Turney, BW. CT Texture Analysis of Renal Stones Predicts Ease of Fragmentation with Shock Wave Lithotripsy J Endourol. 31:694-700 (2017). Lea-Banks, H., Teo, B., Stride, E., Coussios, C-C., The Effect of Particle Density on Ultrasound-Mediated Transport of Nanoparticles Phys. Med. Biol. 61 (22), 7906-7918 (2016). Bhatnagar, S., Kwan, J.J, Shah, A.R., Coussios, C-C., Carlisle, R., Exploitation of sub-micron cavitation nuclei to enhance ultrasound-mediated transdermal transport and penetration of vaccines Journal of controlled release : official journal of the Controlled Release Society, 238 (2016) 22-30. Owen J, McEwan C, Nesbitt H, Bovornchutichai P, Averre R, Borden M, et al. 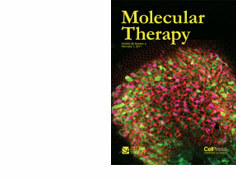 Reducing Tumour Hypoxia via Oral Administration of Oxygen Nanobubbles. (2016) PLoS ONE 11(12): e0168088. Nwokeoha, S., Carlisle, R., Cleveland, R. The Application of Clinical Lithotripter Shock Waves on RNA Nucleotide Delivery to Cells. 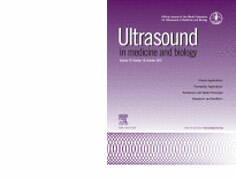 Ultrasound in Medicine and Biology 42 10: 2478-2492 (2016). Grundy, M., Coussios, C.-C. Carlisle, R. Advances in systemic delivery of anti-cancer agents for the treatment of metastatic cancer. Expert Opin. Drug Deliv.1-15 (2016). The Application of Clinical Lithotripter Shock Waves on RNA Nucleotide Delivery to Cells. Polymeric Cups for Cavitation Mediated Delivery of Oncolytic Vaccinia Virus.